Deluxe Room at Samalaju Resort Hotel. 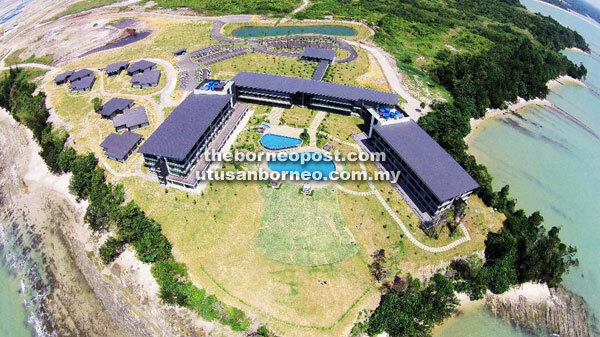 Aerial view of Samalaju Resort Hotel. Restaurant at Samalaju Resort Hotel. 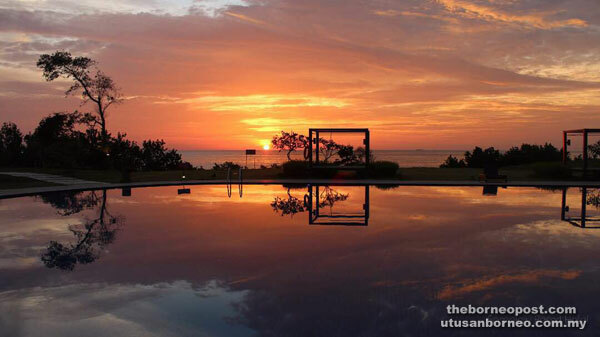 Sunset view at Samalaju Resort Hotel. View of Samalaju Resort Hotel pool. 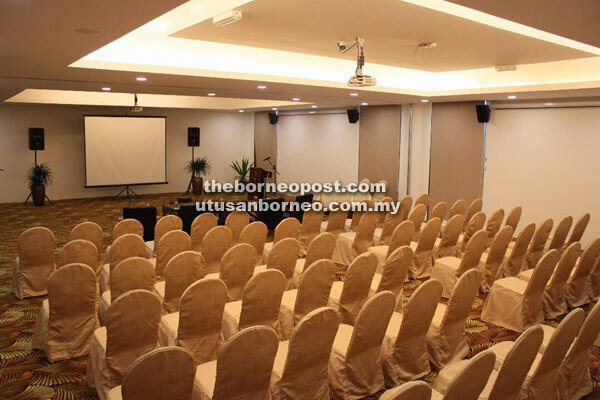 Conference Centre at Samalaju Resort Hotel. 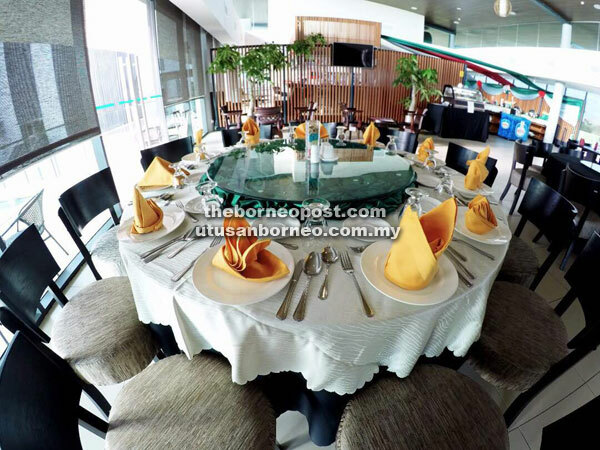 SAMALAJU: Samalaju Resort Hotel is a beautiful four-star hotel located by the shoreline of the Samalaju Industrial Park and a must-holiday destination in Bintulu. When visiting the resort yesterday, BAT7 was mesmerised by the hidden gem that has existed since 2014, overlooking the natural and stunning views of the crystal clear blue South China Sea. 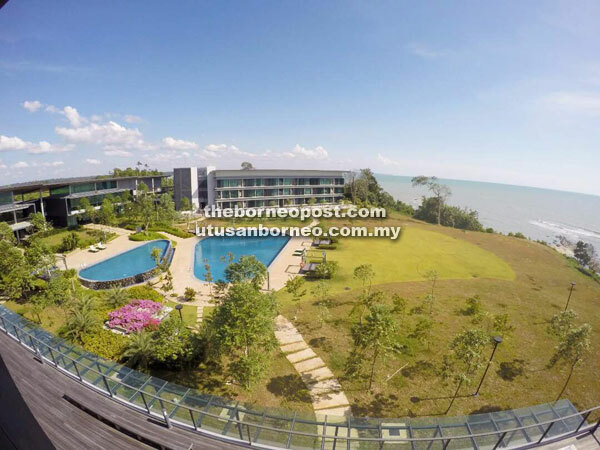 This tropical hidden paradise resort is about one hour’s drive from Bintulu or two hours’ drive from Miri City. BAT7 was told that hotel can also pick visitors from these two towns but arrangement has to be made first on the pickup point. The hotel has a total of 175 spacious and contemporary rooms, consisting of 148 hotel guest rooms and 27 chalet rooms. Out of the 148 hotel guest rooms, a total of 134 units are superior room, 12 units are deluxe room and two are executive suite. And of the 27 units of chalet room, 18 are Chalet Room and nine are Chalet Premium Room. 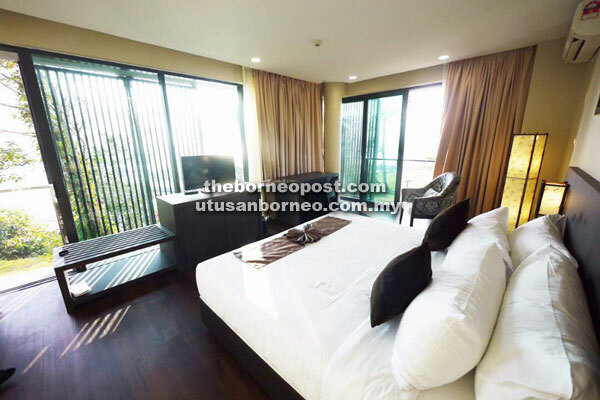 The chalet units come with a living room and kitchenette for guests who like to prepare their own food and enjoy the comfort of the tropical resort like their own homes. On top of that, there are many facilities which include Swimming Pools, Fitness Centre, KTV Lounge, Business Centre, Conference Rooms and Coffee House. The hotel was not only designed to be an oasis of calm amidst the hustle and bustle of the industrial park but also a place for visitors and industrial workers to have a great weekend retreat and holiday. For visitors who like to visit the nearby national parks, they will be glad to know that Niah National Park at Batu Niah is 45 minutes away and the Samalaju National Park is 40 minutes away. It was also disclosed to BAT7 that currently the hotel has about 84 per cent occupancy rate and most of those who stay at the hotel are related to Samalaju Industrial Park. For more information, call 086-291999.